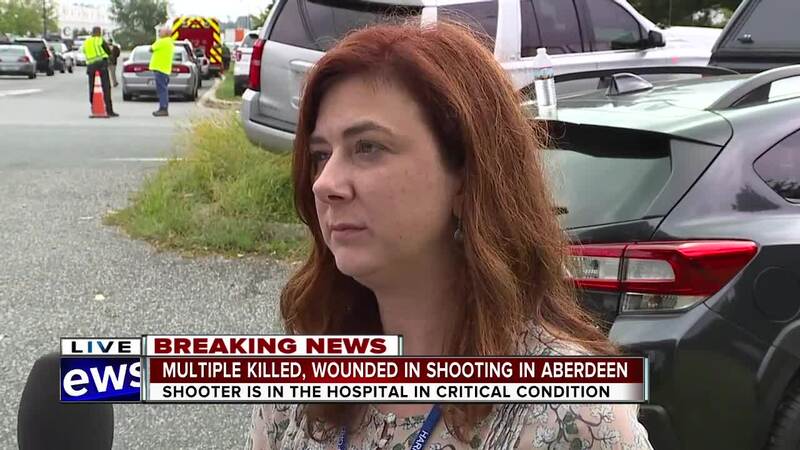 Three people were killed and three were injured by a female shooter, who then turned the gun on herself, at the Rite Aid Distribution Center in Aberdeen Thursday morning. 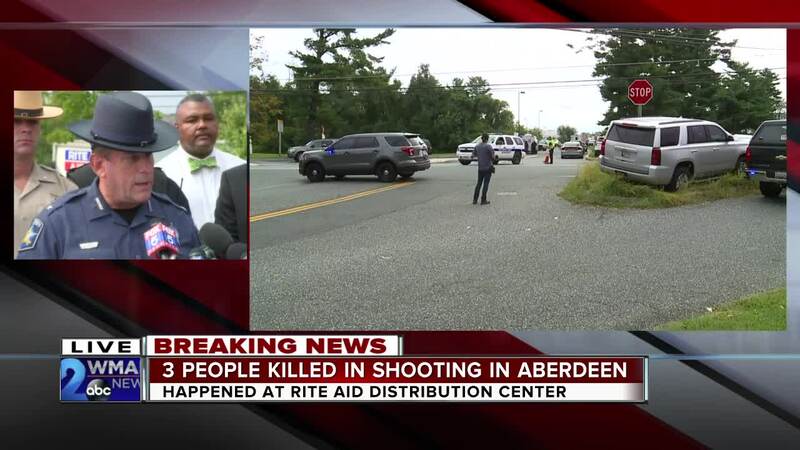 A woman who shot dead three people at a Rite Aid distribution center in Maryland was a disgruntled employee working there temporarily, authorities said. 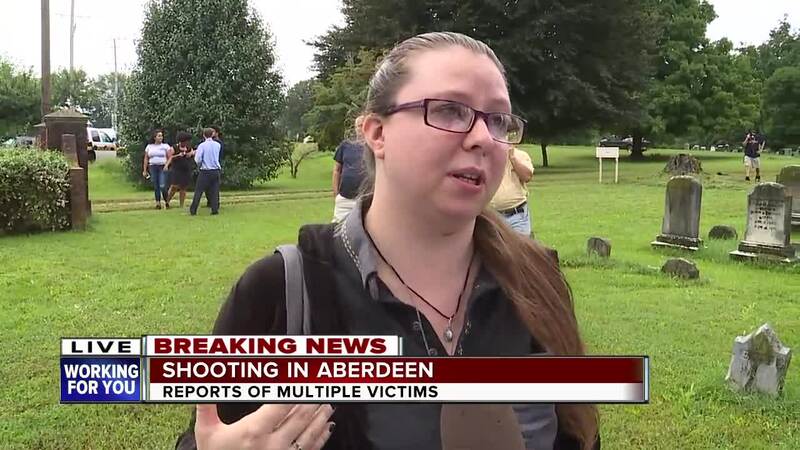 Snochia Moseley, 26, opened fire at the facility near Aberdeen on Thursday -- the latest shooting in the United States and the second workplace rampage in 24 hours. A source close to the investigation said Moseley was a disgruntled employee at the facility roughly 30 miles northeast of Baltimore. Moseley showed up for work at the warehouse, where she was a temporary employee, at her normal time Thursday morning. She opened fire outside the building and on the warehouse floor, then fatally shot herself in the head with the same 9 mm Glock pistol. 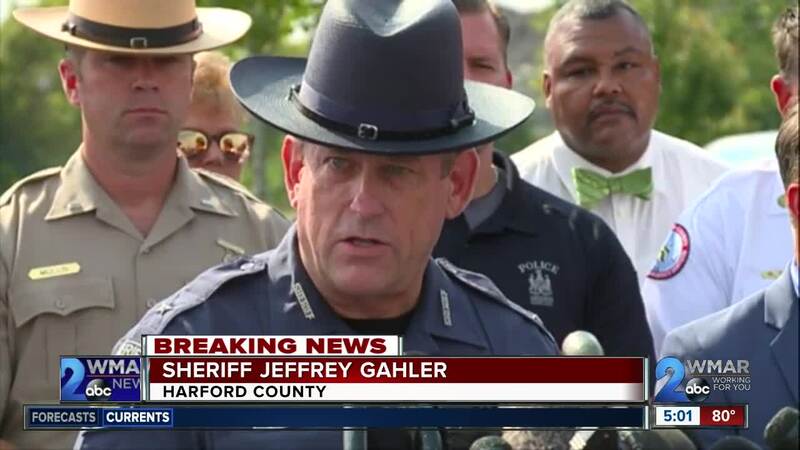 Deputies were dispatched at 9:09 a.m., Harford County Sheriff Jeff Gahler said. Within five minutes, he said, deputies were at the scene, along with the FBI, state police, first responders and other law enforcement authorities. "You can't have enough police, and you can't have them fast enough, Gahler said. The sheriff declined to release details about the six victims or the shooter, saying their next of kin are still being notified. Police are still searching for a motive, he added. When the gunfire erupted, Alexie Scharmann got a series of text messages from her mother. "I love you ... more than you'll ever know," said her mother, who works at the facility near Aberdeen. "There's a shooter in the building. I'm hiding. I love you," she texted, according to CNN affiliate WBAL . "Be good and take care of dad (and) the pets if something should happen." Scharmann's mother survived the shooting, and sent her the text message she was hoping for at 10:33 a.m.
"I am outside and safe. I love you," it said. Moseley was once a security guard at the facility where the shooting occurred, a law enforcement official said. She used a gun that she purchased legally, Gahler said, adding that no law enforcement officers fired shots during their response. Rite Aid spokeswoman Susan Henderson said roughly 1,000 employees work at the distribution center, where products are received and processed for delivery. "The shooting happened adjacent to the primary building," she said. Colleen Hendrickson lives and works in the area, and was waiting for the bus when the shooting started. "I, of course, thought it was far off or, that's like down the road or something, right?" she told CNN affiliate WJZ . "No, it's right outside. It's right on the doorstep." She saw emergency vehicles, ambulances and helicopters rush to the scene. "It's really just usually very calm, and this is the most chaotic I've ever seen it," she told the station. A day earlier, two other shootings made national news. A coworker injured three people when he opened fire Wednesday at an office complex in Middleton, Wisconsin . Later that day, a gunman wounded four people in Masontown, Pennsylvania. Police killed the shooters in both incidents Wednesday. In Harford County, where Thursday's shooting happened, a man killed three people and wounded two others in October at a remodeling business where he worked. 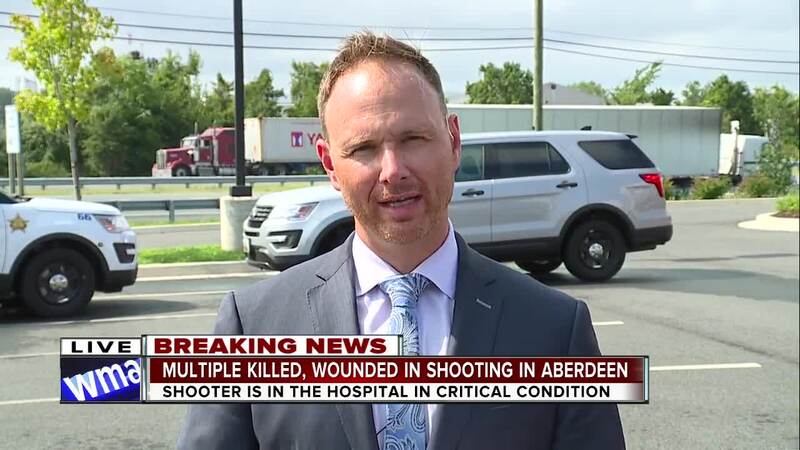 The gunman later drove to Wilmington, Delaware, where he shot and wounded a sixth victim.